With Christmas in full swing and the smell of turkey wafting through the house it’s an exciting time of the year for the inner chef in all of us, but what happens to the leftovers? Here’s our guide on what to create with your leftover Christmas food. Now that you’ve wished your friends and family a Feliz Navidad you’re going to have a whole lot of food left over! So why not spice up your Boxing Day with this Tex-Mex classic? 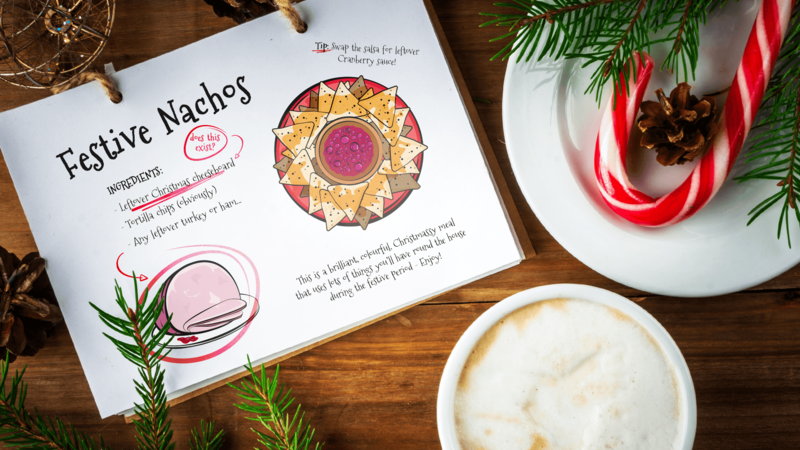 We’d suggest using any leftover meats such as ham or turkey and sprinkle it on top of your standard nachos recipe, add any cheese you may have remaining from your festive cheese board, and for those living on the edge you can substitute salsa for cranberry sauce. As much leftover meat as possible! Let’s face it, vegetables are criminally overlooked as a leftover during Christmas. They’re often thrown out but here is a recipe that can stop this injustice! 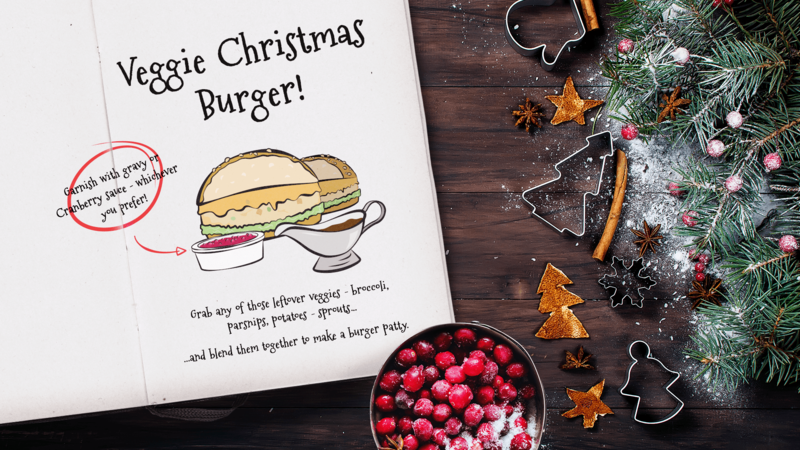 Veggie burgers can easily be created using any vegetable leftovers such Brussel sprouts, carrots, parsnips, potatoes, and even sage and onion stuffing. The burgers can be topped off by melting any leftover cheese and placed into any form of bread you desire. Christmas is seen as the most romantic time of the year and we think no different, however, instead of finding a soul mate we think you’ll fall in love with this Calzone. The beauty of this recipe is, apart from the base, you can literally add any ingredients you want! Go crazy and have some fun but just don’t propose to the meal, it won’t say “yes”. All of us love American recipes, right? 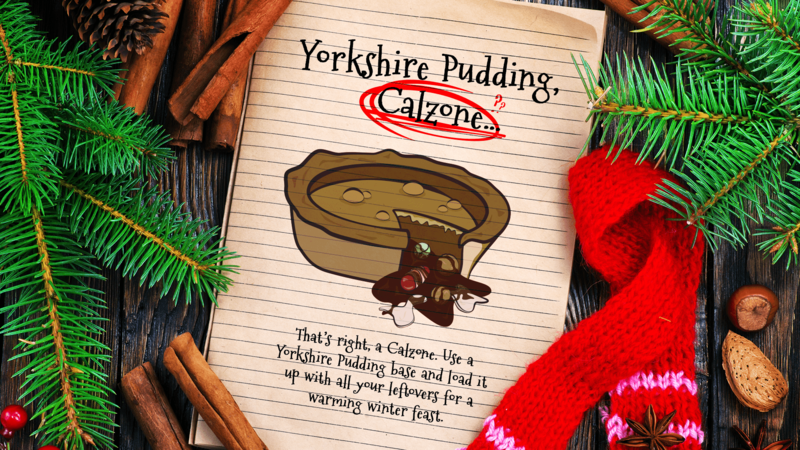 This Christmas why not try a classic from across the pond that we are sure you won’t have created before! Cupcakes aren’t just a sweet treat but they can be a great winter warmer for all the family, and make you look like the culinary genius only you know you are. 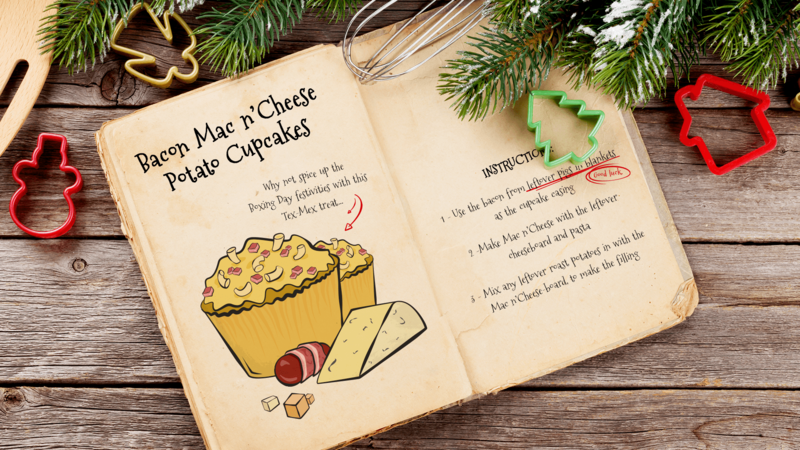 We’ve saved this recipe for any culinary novices, you may not have cooked the Christmas dinner but you’ll certainly be eating the leftovers. 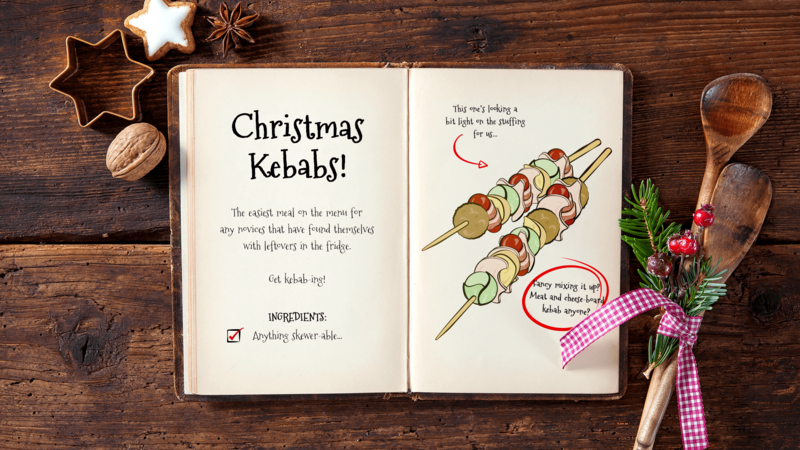 The great thing about the Christmas Kebab is that anything can be skewered! So, if you want a meat, cheese, vegetable or combination of all its really simple.